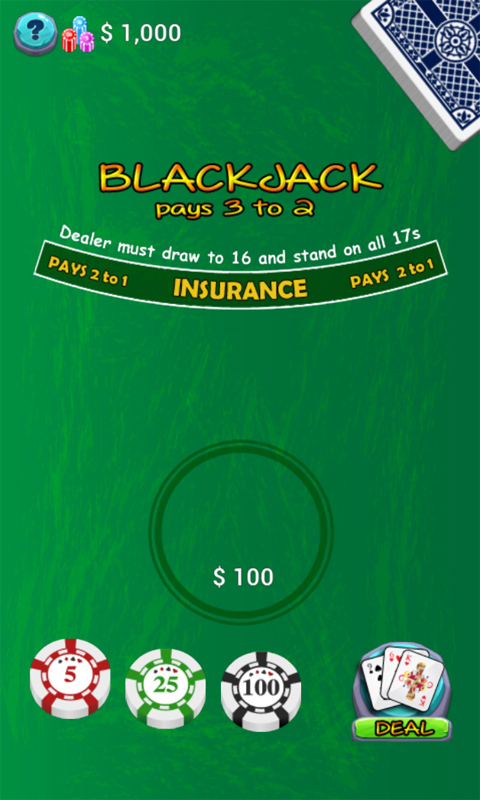 Blackjack game with a quick and easy gameplay. Great graphics and unlimited virtual chips make this game your best option when you want to play 21 on your mobile device! 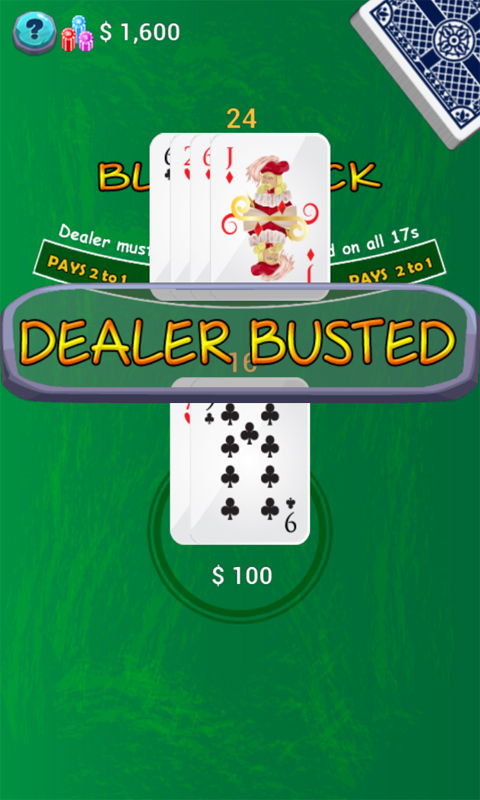 The object of this blackjack game is simple to understand: Play against the dealer, achieve a total greater than that of the dealer, as long is doesnâ€™t exceed 21. Where ever you are, you can enjoy playing this game, no internet needed so enjoy the game without any worries! 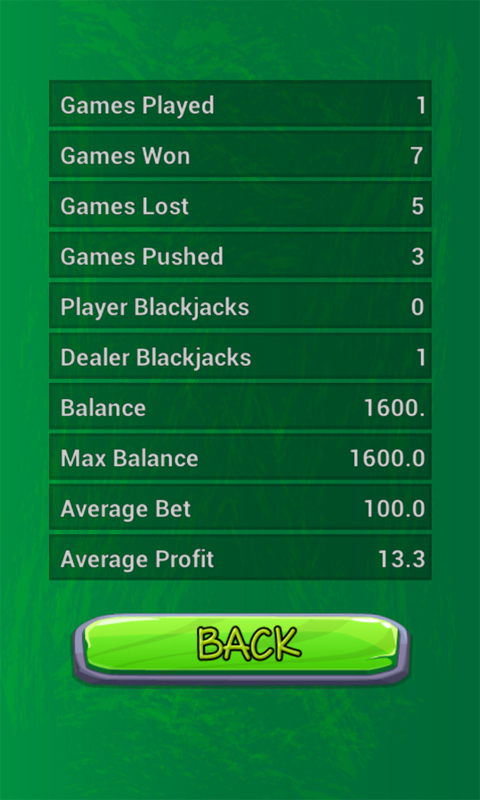 You get unlimited virtual money, when your balance too low simply reset your money and continue playing. 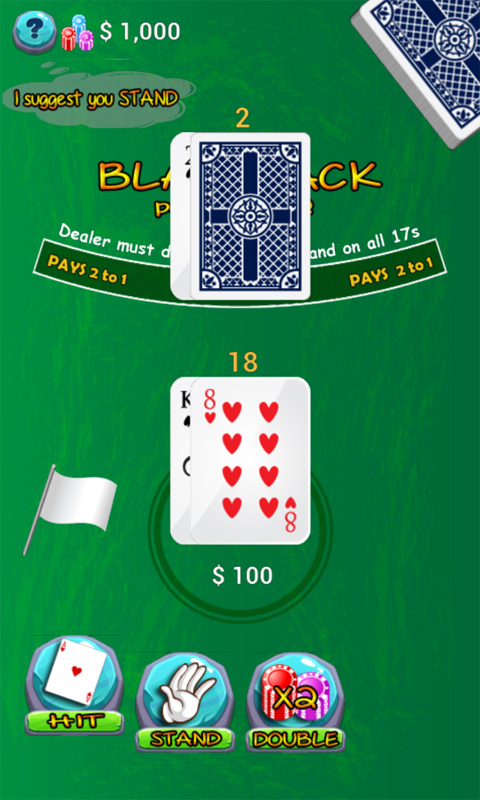 Feel and play like a pro, practice your blackjack skills! 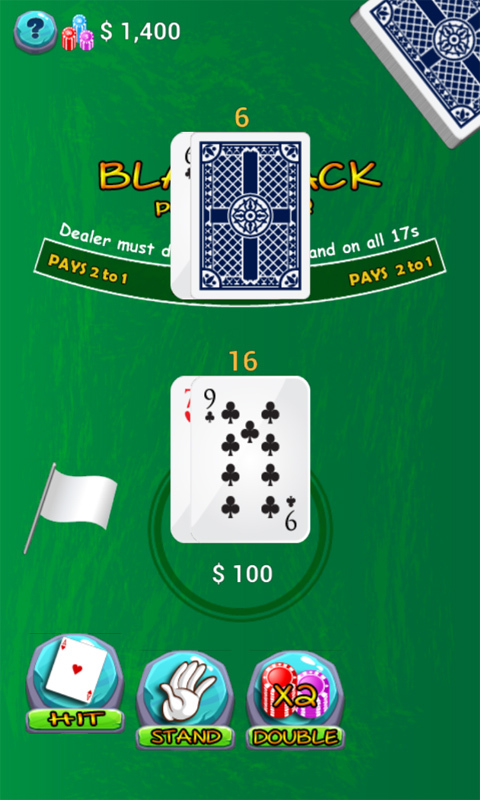 Blackjack Rush Features: - Beautifully designed blackjack playing cards. 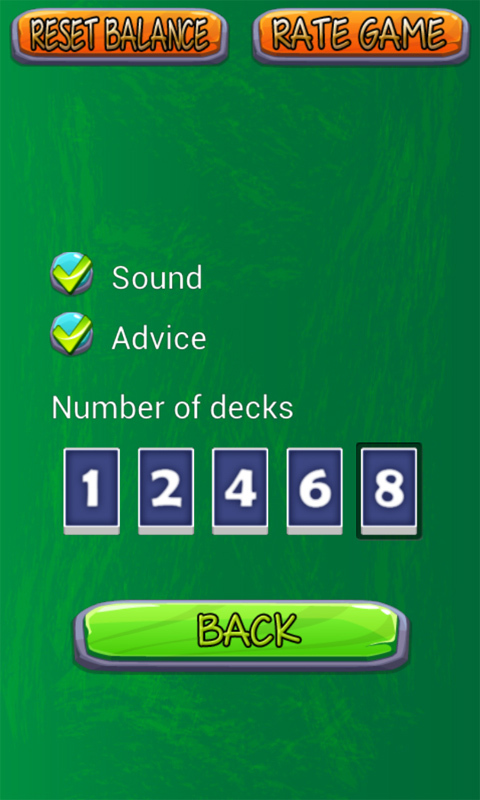 - Simple game controls with unlimited game chips. 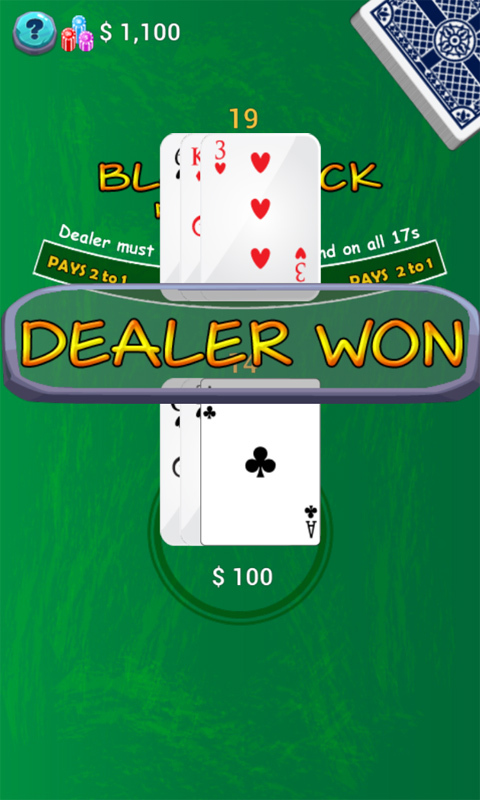 - Play against the dealer, score 21 & win big. - Split hands, double your bet and get a bigger win! - Totally free chips with unlimited options, reset the balance whenever you need. - Free, fun and easy to play this great 21 game on all your mobile devices.